Libratone Zipp review: is this the one wireless, Wi-Fi and Bluetooth-enabled, multi-room speaker system to rule them all? Let's get straight down to it shall we? The Libratone Zipp delivers good audio and it does so no matter where you or the device is positioned. From its sleek, cylindrical drum of a body, this flask-shaped speaker system manages to pump out music in every direction with ease - there is no right place to sit, nor a right place for it to stand. Is the sound quality the Zipp delivers as good as, say, the Bowers & Wilkins Zeppelin Wireless? No, no it is not. However, that's really not the point or a fair comparison to make, as this music streamer and speaker not only retails for under half the cost but also clearly caters to a completely different market and user lifestyle. No, the Libratone Zipp - and I can attest to this after a lengthy period of testing - is not so much geared at the audiophile (although I really do hate bad audio), but rather people who prize style and sound quality highly, but in reality cannot justify half a grand on a single-room speaker system and instead need a setup that can be more versatile at a significantly lower price point. And that is where the true beauty of the Zipp lies. It has evidently been created right from the start to hold versitility of placement and use in high regard. Not only is its size and form factor appealing in terms of placeability, but the fact that the system can be completely disconnected from the mains and moved to any position both inside and outside, and keep streaming audio for 8 to 10 hours on battery, is just superb. It's such a simple thing really but, as with most things, it has to be done well to be truly appreciated. There has been a mountain of Wi-Fi or Bluetooth-enabled portable speakers released to date, with each advertising themselves on the principle that they allow you to carry loudspeaker audio round in your backpack. In reality though, the quality of sound delivered, the stability and variety of wireless connections, and the battery life of most of these systems have all been heavily compromised in this pursuit of portability. And while the Zipp could hardly be described as portable in the same manner - for example, you wouldn't carry the Libratone Zipp round in a backpack - it is highly moveable, with the lightweight drum simply disconnected, picked up and placed down wherever you want it. For example, during testing I primarily had the Zipp on top of Ethel, my affectionately named sideboard cabinet, as with it located in my living room I maximised the possible devices I could connect to it, such as smartphone, tablet, handheld gaming console and TV. However, when one night I decided to take a bath midway through listening to the Guardian's Football Weekly podcast through the Zipp, instead of listening to the rest of it out of the tinny, bassless smartphone speaker, instead I simply unplugged and picked up the Zipp, carried it through the hall and then placed it on the bathroom's window sill instead. No interruption to the audio, no change in listening device, no movement of my streaming smartphone - which remained on the armrest of the living room settee - just suddenly the Zipp was in the bathroom not the living room. Of course, Libratone would ideally want you to have another Zipp or Zipp Mini in the bathroom already, all linked together with one of their SoundSpaces - don't worry, we'll come back to that in a moment - however for me the one device was enough. It was the same story on this Sunday just gone when my daughter had her sixth birthday party. With numerous party games required to be played in the dining room, including pass the parcel and musical statues, the Zipp's movability and ease of streaming again shone through, with my wife easily moving and placing the Zipp on the dining room table, connecting her iPhone to it via Bluetooth, and then blaring out a Spotify party playlist. It just worked, first time, and with zero connectivity or endurance issues. Once the games had finished, more adult-friendly music was left on for hours in the background and the Zipp just played on and on, operating fluidly off battery alone. While the appalling English weather at this time of year has prevented me from testing the Zipp outside on a picnic or BBQ, I feel confident in predicting that the experience will be as good, if not better outdoors. So, what about those SoundSpaces? Well, a SoundSpace is Libratone's coined phrase for multi-room audio. So, presuming you purchase multiple Zipps or Zipp Minis (it's a smaller Zipp and can be seen in some of this review's images), through a dedicated app you can then link and group them together into a SoundSpace. So, for example, I could have a speaker in the dining room, living room and downstairs bathroom linked together to operate as one, while also having another brace upstairs grouped as another, with each SoundSpace playing different audio at any one time. The speakers are grouped in-app by simply dragging and dropping images of the speakers on top of each other, while you de-group them by dragging them off each other. This grouping and ungrouping can also be achieved by pressing a button on the speakers themselves. As I just mentioned though, the light weight and movability of a single Zipp - with the Zipp Mini even lighter still - makes transporting the speaker incredibly easy anyway, so this sort of setup is definitely not required to have a similar good-audio-in-every-room experience. Ok, so if you've made it down this far then I guess you want some specifications. Ok, no problem. The Zipp features a 4-inch Neodynium Woofer, two 1-inch Soft Dome Neodynium Tweeters, a pair of 4-inch Low Frequency Radiators and a single 360-degree reflector, the latter being the core piece of tech responsible for the Zipp's multi-directional output. In terms of inputs, the Zipp is Wi-Fi Dual Band 2.4GHz and 5GHz B/G/N compatible, it supports AirPlay, DLNA, Bluetooth 4.0, USB play in, USB charge out, and can also be hardwired by 3.5 mm mini jack if desired. Battery performance sits at between 8-10 hours, it weighs in at 1.5 kg and the speaker can either be controlled by the Libratone app or by a top-mounted touch interface. Lastly, the Zipp is installed with a digital Class D amplified Adaptive DSP sound optimisation and speaker protection system, which delivers 100 Watt total power across three channels. In terms of software and app compatibility, Libratone state 'If you can stream it, we can play it', and looking at a list which includes Spotify, Deezer, Tidal, YouTube, Netflix, Napster and more, it's hard not to agree with them. Especially considering you can also stream any radio station with an Internet source also, with the app allowing you to easily specify five favourites to store and play at any one time. While we're talking about the app, you can also select a variety of profiles through it that do one of two things. Firstly, you can select standard style music profiles, such as for when playing Rock or Jazz or Classical, and secondly you can select placement profiles, which tweak the Zipp's audio profile depending on where it is positioned. So, for example, if you've placed a Zipp in the centre of a dining table, then you can select an 'on a table' profile, while if it is placed on a bookshelf surrounded by books, you can select an 'on a bookshelf' profile. Lastly then, I guess we should talk about the zip element of the Zipp. The zip betrays the Zipp's ability to have a series of CoolWeave Mesh© coloured covers bought and then zipped onto the speaker's plastic body. This, while clearly in no way essential, allows you to alter the colour of the Zipp to match your mood, the season, or the decor of the room or exterior space the speaker is placed in. We got bright red with our unit, which we guess would be ideal for a summer picnic, however as you can specify the colour of the unit you receive when ordering, even if you just want the single cover for your cream-painted living room, then cooler, less aggressive shades can be yours instead. So… as you can probably guess, I really rather liked the Libratone Zipp. It fitted into my house and, crucially I feel, lifestyle with consummate ease. Whether or not it's a product you personally should be looking for will really depend on your wallet size and lifestyle. The Zipp doesn't deliver phenomenal sound but then again what does? A handful of wallet destroying uber-speakers. If you want audiophile-quality sound in a single room then this speaker isn't for you. What the Zipp does deliver, however, is maybe even more impressive than flat-out audiophile-quality sound reproduction, and that is a plug and play / un-plug and play wireless speaker system that delivers fantastic versatility, good sound quality throughout a full 360 degrees and, crucially, excellent movability, with the 1.5 kg device positioned and repositioned with ease and precision. After reviewing the Libratone Zipp, T3 spoke to Libratone's tech wizard and head of Global Product Management, Uffe Hansen, about the Zipp and the future of wireless, multi-room audio. T3: To start, could you talk briefly about who you are and what your role is at Libratone? Uffe Hansen: My name is Uffe Hansen and I am responsible for Global Product Management. So that means I'm responsible for figuring out which products Libratone should bring to market, determining where we sit in the market compared to our competition, analysing our products' user experience and, really, looking after the entire product concept area. T3: Getting straight to it, can you talk through the raw tech of the Zipp? UH: The Libratone Zipp is a cylindrical speaker that very much aims at been able to play equal quality audio in all directions (360 degrees). It is essentially a wireless speaker that is compatible with both Wi-Fi formats as well as Bluetooth. What we aimed to do with the Zipp is basically make it so that the technology that makes it function disappear, so whether you are streaming via Wi-Fi or Bluetooth is invisible and that blends into an overall experience where whatever you are trying to play can just be streamed through the speaker. From a tech point of view, that means Wi-Fi and Bluetooth is completely co-existing, so the Zipp is always looking for both formats and they co-exist in terms of the 2.4GHz space. Also, on the UI-level, they are both completely equal and available no matter which format or device angle you come from so to speak. That is an overall theme with the Zipp - we tried to make the user experience as seamless as possible, so we wanted the speaker to easily handle these formats and have users able to fluidly switch between them, but we also wanted to hide them away too, so they just work in the background. On the acoustic level, the Zipp is based around a 4-inch driver and two tweeters, and to achieve the 360-degree spread of the audio the 4-inch woofer is actually angled directly upwards in the top of the cylinder. That woofer is playing into an acoustic lense, which helps spread the audio out on a 360-degree plain. The two tweeters, in a similar way, are actually positioned so that they are facing each other. In between those two tweeters we have another small acoustic lense which again helps fire left and right out on a 360-degree plain. As such, no matter what angle you listen to the speaker from, the user will receive a stereo sound image. Finally, to support the bottom end part, we have two passive, elliptical radiators that just kick a little extra into the low end. T3: What was the catalyst for the Zipp's creation? Did you see a gap in the market or an area that could be improved? UH: Actually the original catalyst for the Zipp's design was based on the fact that speakers, in many cases, tend to be just black boxes. They are just black boxes that you have to put somewhere and then sit there forever because they are both cabled in terms of power, and tied down in terms of connections to other devices. So the idea here was to make something that blends into a more flexible lifestyle, and also that blends in better with your furniture or the overall look and feel of your house's decor. So essentially the idea was to have something that could play equally as well wherever you put it, and that you would be proud to have it on display in those spaces, you were not having to constantly think of places to hide it away. Obviously, to do that, you need a speaker that can play equally well in all directions. T3: Let's talk about SoundSpaces. What are these, how are they made and how do they work? UH: The way we look at SoundSpaces is that, if we break it down to just a technical level, it is a multi-room feature. It combines up to six speakers in a group and you can have multiple groups running on your network at the same time. However, because we this flexible approach to our speakers where they can be moved easily, we didn't really think the term 'multi-room' was accurate. Instead, what the speakers deliver is much more like a space filled with sound, hence the term SoundSpace. So wherever you put down the speaker, that is where you put down a SoundSpace, the sound coming out of one speaker does not have to be tied down to a single room. So, if you have multiple speakers you can link those separate SoundSpaces together to make one bigger SoundSpace. This is achieved through the Libratone app, where each speaker is represented by a little icon and you simply drag and drop these icons on top of each other to create a new SoundSpace. You can also do this physically on the speaker, by pressing a SoundSpace link button on one speaker and then doing the same on another. As such, if you don't have your phone to hand to use this feature, however if you do it makes it even easier. T3: While we're talking about the app, can you talk a little bit about profile functionality? UH: There are two kinds of profiles, there are positioning profiles which compensate for where you have positioned the Zipp in a space, as the acoustics change depending on where a speaker is located. For example, the speaker could be placed on a tabletop, it could be freestanding in a room, it could be on the floor in a corner or it could be on a bookshelf, and by creating these profiles we can tweak the delivered audio accordingly. For example, if a speaker is placed in the corner of the room on the floor, you might get too intense bass, however by selecting the floor profile then that is automatically compensated for, reducing it for a more balanced delivery. On top of the positional profiles, there's more of a selection of flavour profiles. So, if you're listening to Rock you can select a Rock profile, while if you are listening to Jazz you can select a Jazz profile. There's even profiles for movies and speech. T3: Lastly, where do you see wireless, multi-room audio going over the next 5 years? Are there any key challenges to be faced? What would you personally like to see? UH: Well, exploding I guess! I think that there are a lot of different players out there that are moving into this space, as the mainstream are now comfortable with the idea of multi-room audio. Multi-room, wireless streaming falls quite naturally into people's lives today, which are less fixed and very dynamic. Away from the end user part of it, there is a lot of discussion right now between the various formats that is being a real driver for the entire market, so I believe this sort of technology will be available to everybody within the next couple of years. That's going to be interesting and exciting to see how that play out. 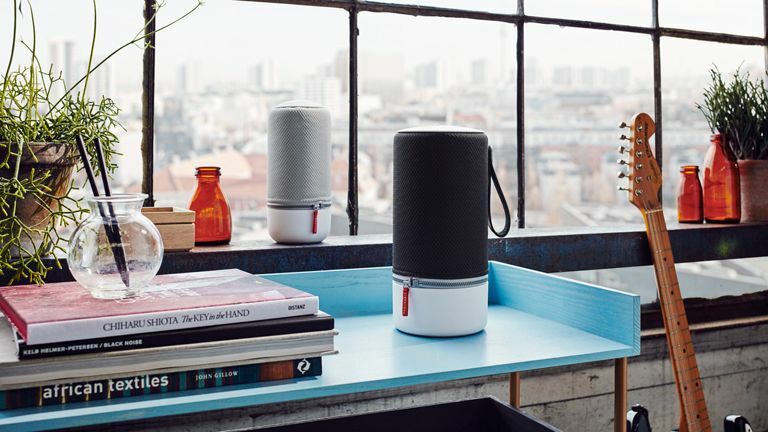 As for key challenges, what is important for us here at Libratone is staying on top of the evolution of things in the connected home field and following the standard discussions which hopefully can develop so that they are open or semi-open, as this will allow the maximum amount of products to speak together.